When it comes to fishing books for beginners, there are often reminisces about the authors' fishing passions, as well as, details about the art of fishing which a newbie angler needs to know when it comes to how to succeed and catch a big salmon, trout or other popular fish species. A veteran fisherman once said to his grandson that "you and I have something in common because my grandpa also taught me to fish." He also told his grandson to read one of the many great informative books about fishing for beginners because, he said, "there's more to it than one would expect." The theme of these books is all about how to understand the first elements of angling so it will result in a lifetime of fishing delight. While there's always some pressure to catch the so-called "Big One," long-time anglers share their views about the sheer enjoyment of being out or near the water as one of the main perks of fishing for fun and how to begin. The following 10 books have much to offer any new angler wanting to catch 'the big one," say readers of these specialized books online. The authors of these books have earned angling fame by both the publication of their book for newbie fishing fans, and sharing so many vital details about the Who, What, When, Where and How of modern-age fishing techniques. 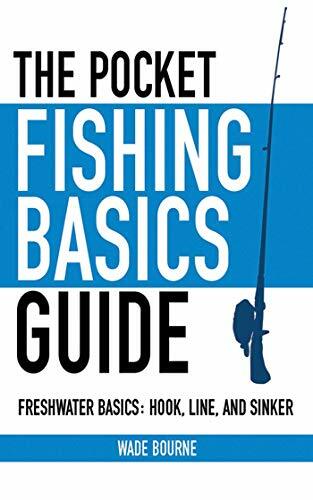 This wealth of angler knowledge is vital for "anyone wanting to catch fish the proper and most enjoyable way," stated a review of these types of books that both inform and entertain. 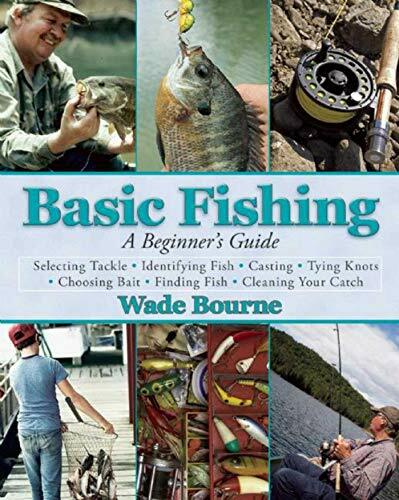 The author Wade Bourne does a super job in creating what can only be described as a complete tutorial about "basic fishing," as the title of the book implies. The work deals with all aspects of fishing. Wade also describes the real skill and challenge of fishing in various environments. For example, Bourne does a nice job of keeping the newbie angler informed about how to "hook a fish," to the real feeling of success which is the motive for any successful angler. This how-to-fish book's chapters are arranged logically with instructive and truly useful prose that rings true if you ever caught a fish with family or friends. In angling, states the author, the best advice is always to be "prepared" if you want both fishing success and pleasure. The great thing about this book is that the it truly reads like a "guide" for newbies wanting to fish. The author gives lots of good advice; while also explaining "what to look for" deep in the ocean or in a fishing stream of a creek. The book is a joy to you and me who fish on a regular basis and cannot understand why everyone is not fishing like we are. Kugach is also credited with offering needed first steps for anyone just starting out with a rod and reel. As well, he does a great job in capturing the thrill of the fishing experience for anyone new to this favorite outdoor sport. 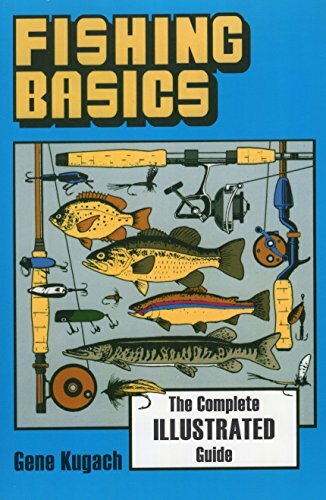 A visit to a pond, lake or the ocean would not be complete for any new angler without the knowledge presented here in this fishing basics book. A visit to a pond, lake or the ocean would not be complete for any new angler without the knowledge presented in this book. The two authors of this excellent fishing book seem to know their stuff when it comes to the many ins and outs of starting out as a newbie angler. For example, both Cox and Shellard draw the reader into this magical world of angling from the perspective of veterans who still can recall the thrill of catching their first fish. This evolving sport is also discussed, as is the need for good but not too pricey fishing gear. There are many common sense and straightforward fishing tips that any new fisherman or woman would appreciate because this book offers a real stepping stone approach to reaching all the many exciting fishing plateaus that occur when in the fishing zone. The exciting thing about Wade Bourne's pocket fishing guide is it's a perfect gift for anyone new to the enjoyable sport of fishing. In fact, Bourne does a super job of detailing just how to catch fish either all the time or some of the time; while lacing his prose with lots of fishing humor that goes far for rookies interested in angling for fun and sport. In fact, there are many glowing words online about this fishing guide being the "perfect book to help anyone fish and enjoy the experience." The author shares many brief tips that he has learned over many years that one can take to the bank regarding catching fish every time. 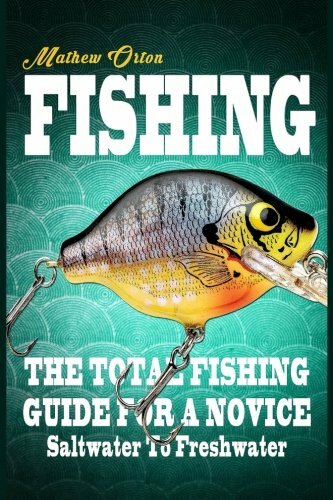 According to fishing fans, this is one of the books they would recommend to new anglers because "it's an easy and quick read with plenty of details." While there are lots of great tips for all anglers, it's the beginner angler that's the prime focus for Orton's detailed overview of every aspect of being a good fisherman. The tactics explained to catch "that big one" is both amusing and sensible, say long-time and newbie anglers who enjoy this quick fishing read. At the same time, the author offers specific techniques that include the types of rigs and lures to employ to particular species of fish and fishing locations. Since most new anglers receive their instruction from family and friends, Orton's style and tone of writing remind one of an uncle sharing the joy and thrill of fishing. While there are many guides for newbie anglers, this one is specific for fly fishing in freshwater environments. 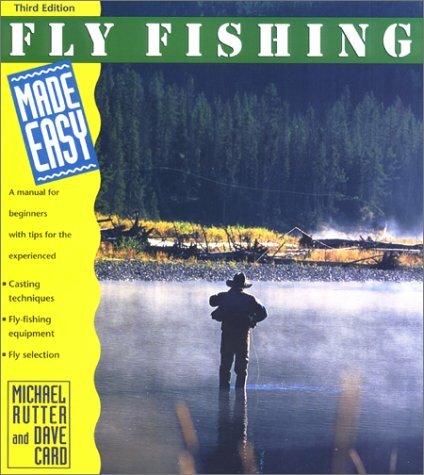 The fans of Hansen's guide say they had "a good time reading how to fly fish like professionals." Still, the author's focus is the new angler who may not fully understand the differences between fly and other types of fishing. 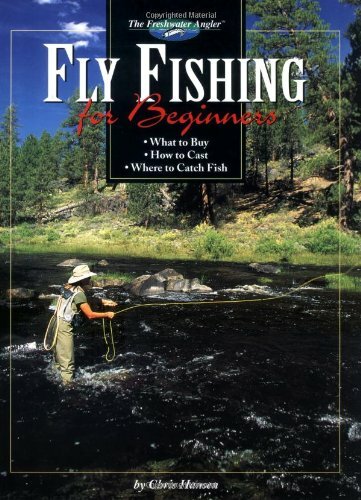 This fishing for beginners book is also an excellent read to enjoy with the pole in hand because it offers a step-by-step process on how to fly fish properly; while enjoying the experience that can last a lifetime. The best bit about Hansen's guide is his passion for the sport of fly fishing that is contagious when reading. An exceptional guide to the enjoyment of fly fishing in this modern age. The co-authors of this fly fishing guide for beginners is expertly presented, sharing their actual fly fishing stories and tips that many views as second to none when it comes to useable tidbits. In fact, the authors seem to go out of their way to instruct newbie anglers with various specialty tips about why fly fishing bait, rigs, rods, and reels are entirely different for flying fishing and say salt-water deep-sea fishing. Card and Rutter make it clear that the fishing experience of a fly fisherman or woman is "far different" but still just as enjoyable for other traditional anglers. Because fly fishing is so unique and specialized, the authors fully explain it with a detailed history of fly fishing and what it takes to succeed. 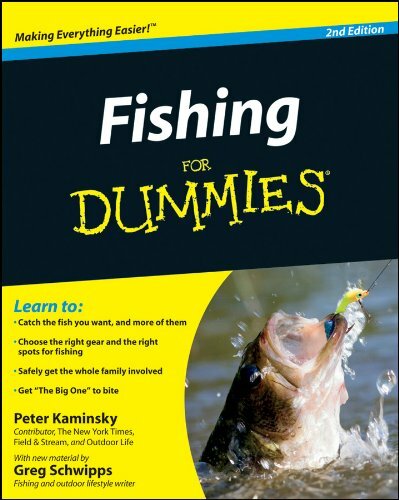 There are many books for so-called "dummies," but this is not one of those guides that talks down to the newbie angler. In fact, this is a fascinating and practical overview of all types of fishing and what equipment and what time of day are best for general fishing if you are new to this sport. Included in the book is a detailed fish and fishing equipment guide that is a real gold standard overview of just what is needed to undertake the art of fishing if you never did it before. Newbie anglers will enjoy how the authors guide the rookie fisherman or women into the world of rigs, polls, and lures for both enjoyable and highly successful fishing. The cool thing about Martin Pollizotto's guide for new anglers considering saltwater fishing is an excellent overview of fishing terms that the author helps makes sense of for the rookie fisherman or woman. 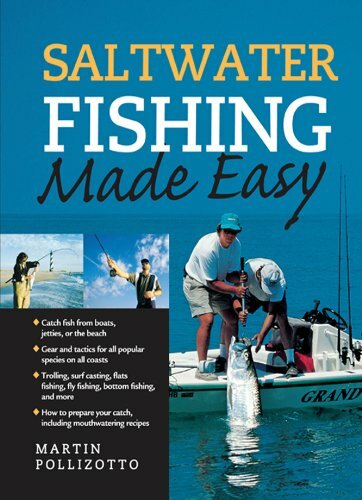 This author seems to know all about saltwater fishing with his many exciting and informative fish tales that help anyone new to fishing to understand the real mojo of this fun sport better. The beginner saltwater angler is also warned about the inherent hazards of fishing out in the deep sea or ocean; while also offering tips for deep sea fishing charters and how best to handle all the specialized equipment needed for successful saltwater fishing in this modern age. 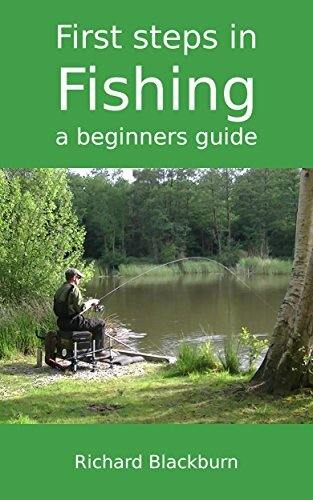 This exciting and highly informative newbie angler's guide for taking the "first steps" in fishing is precisely that; a very detailed guide from hooks to fish types and the best times to go fishing. Author Blackburn also knows his stuff when sharing elaborate stories about the fun and sometimes mistakes of rookies who fish for the sheer fun of this trending sport. Blackburn is thorough when it comes to what someone new to fishing needs regarding reels, baits, lures, rigs, rods, and types of boats and venues for all kinds of fishing fun in the sun. Overall, there has never been a better time if you are a newbie angler to pick up one of these excellent books aimed at he beginner angler. The focus for these books is to cover all the ins and outs of fishing for new anglers who may not understand such things as fly-fishing or where sea trout run, or how to catch that awesome wild salmon out deep in the ocean. 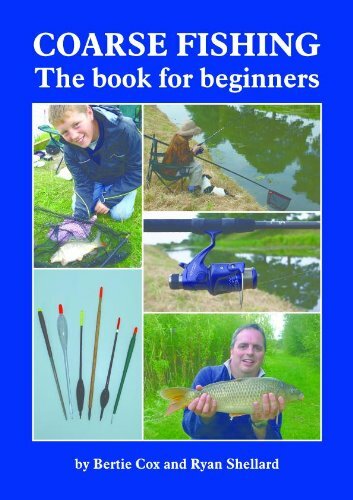 While fishing tackle and other equipment issues are expertly detailed in each of these books on fishing for beginners, the real joy for readers are the fishing stories that beckon young and old to pick up a fishing pole and have a go at it.